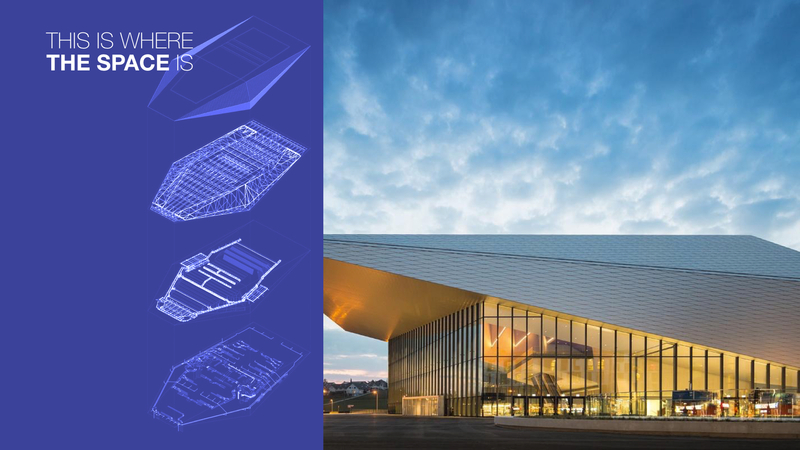 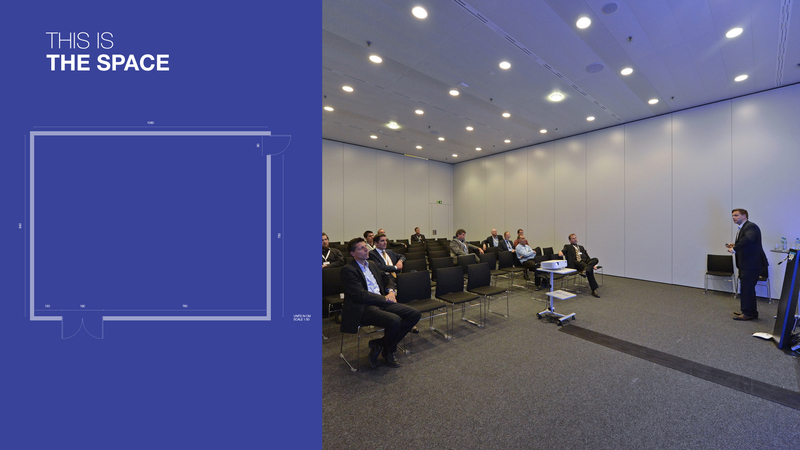 A Multi-faceted experience: 2024 Candidate City Briefing, took place in the SwissTech Convention Centre in Lausanne Switzerland (July 2017), in front of the IOC members and International Federations. 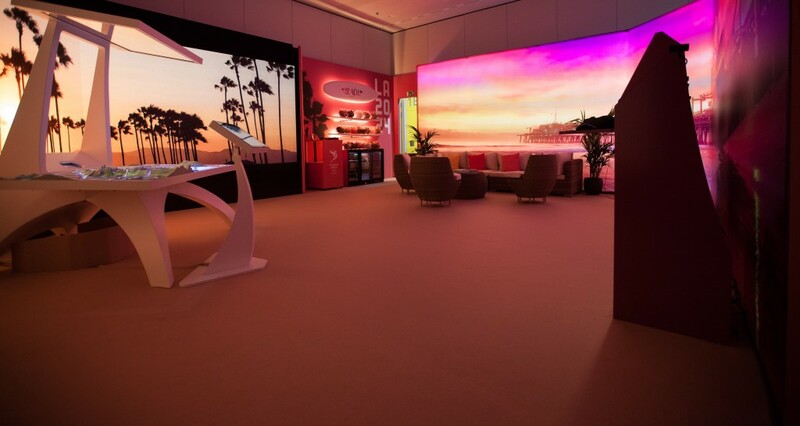 Each candidate City (Los Angeles and Paris) had a separate room, where it could display models, videos, and design an engaging differentiated experience to showcase their candidature. 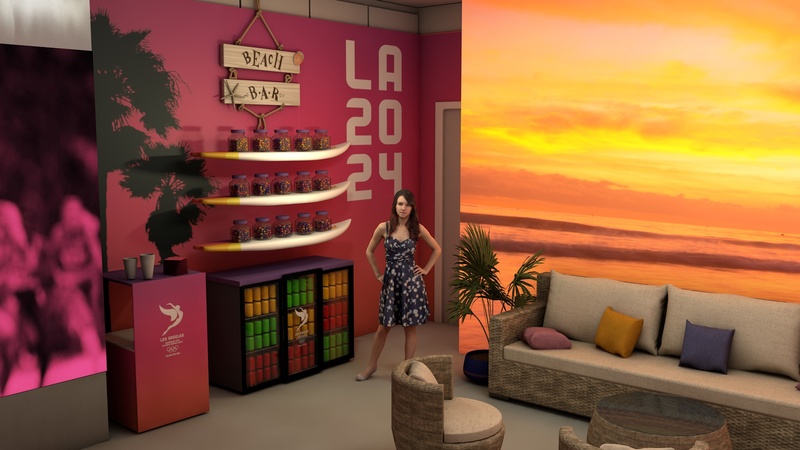 This is the final look and feel of the one we designed for Los Angeles 2024. 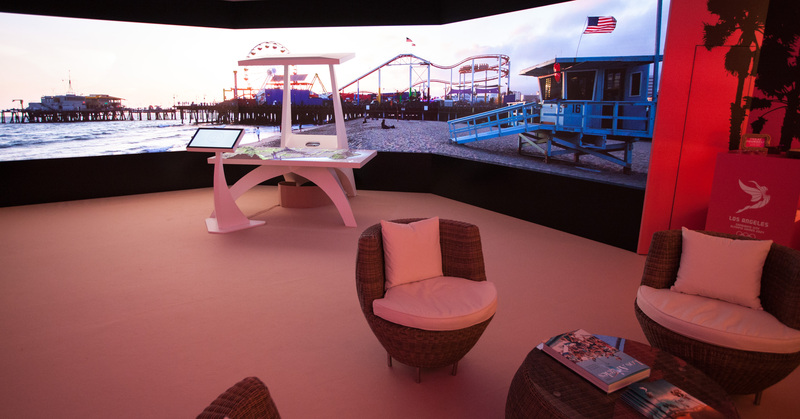 Different skills coming together to turn a diaphanous space into a a memorable customer journey. 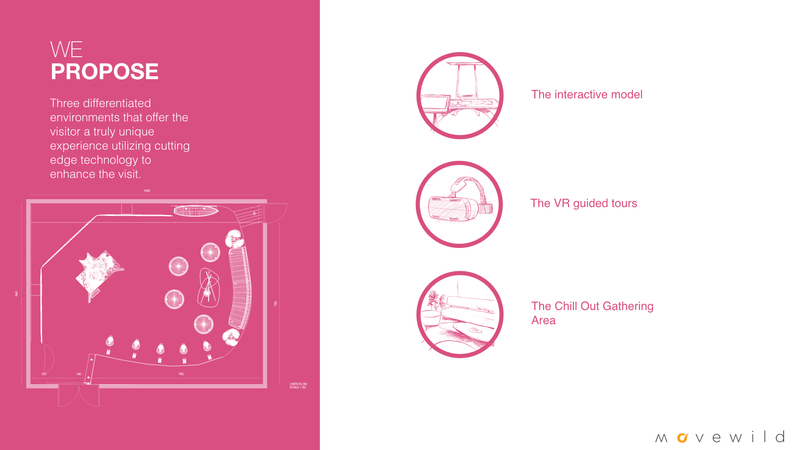 Multiple and memorable touch points with the visitor interaction design and visual design working hand in hand. 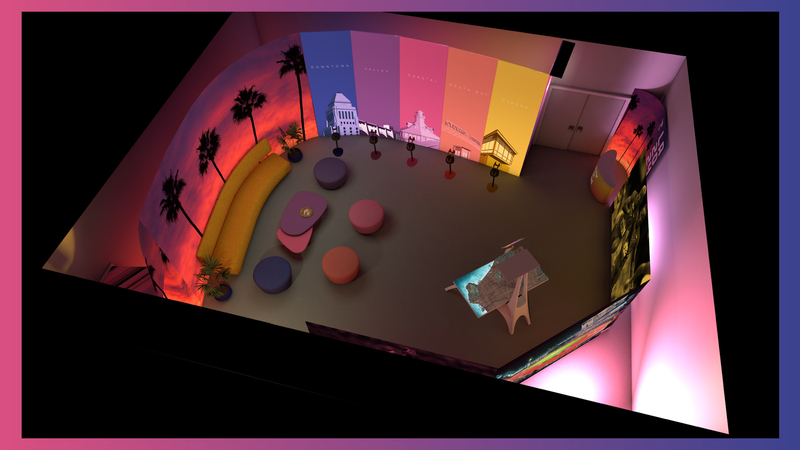 Watch our time lapse video that documents and showcases our work. 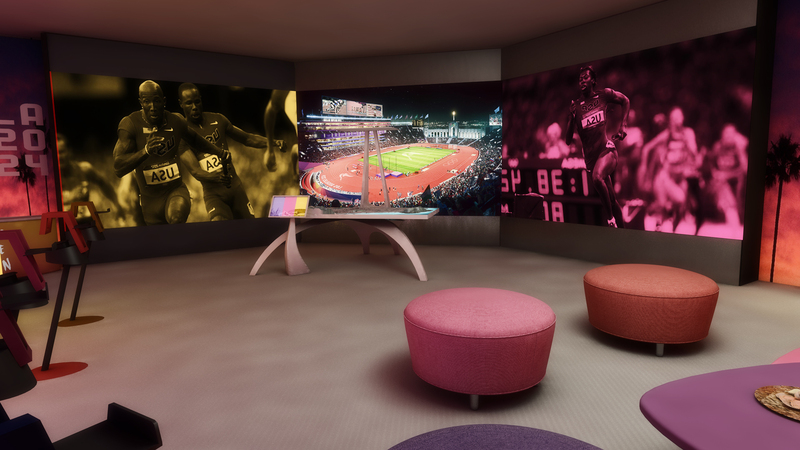 The final renders and the “real thing” looks practically identical. 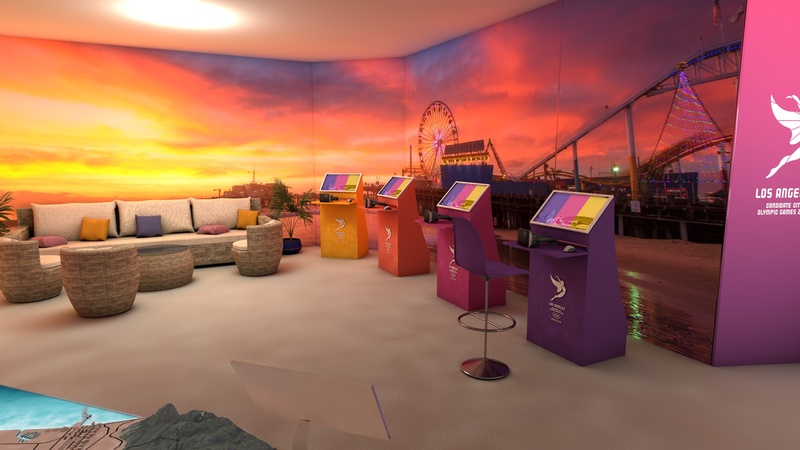 A look and feel counting with the incredible colors of sunset on the santa Monica beach portrayed in the bid ’s logo. 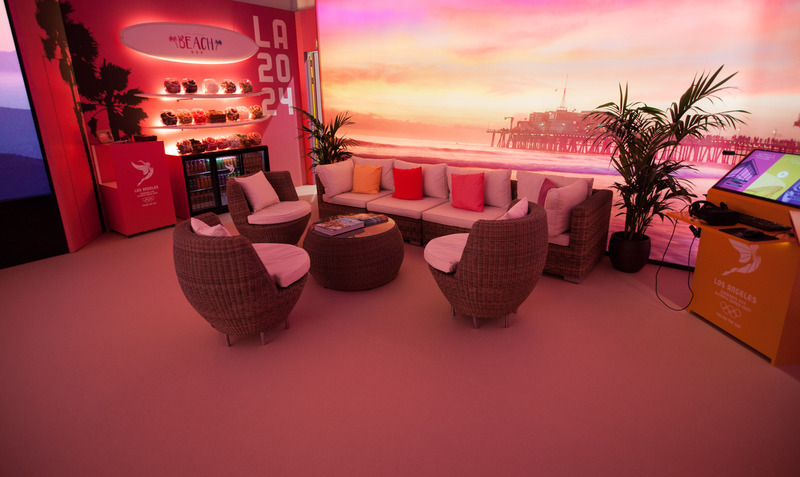 A design to highlight the energetic beat, the positive mood and the idealism and hope of LA a smiling city in shorts and flip flops. 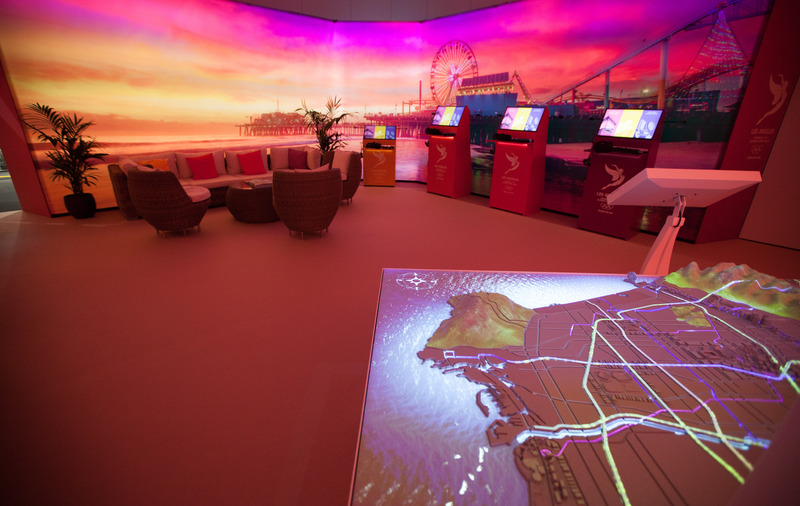 Emotional technology to present Los Angeles as the perfect city to host the Olympic Games of New era.